Caught in a limbo for the last five years, there is a renewed hope for India–EU trade talks. 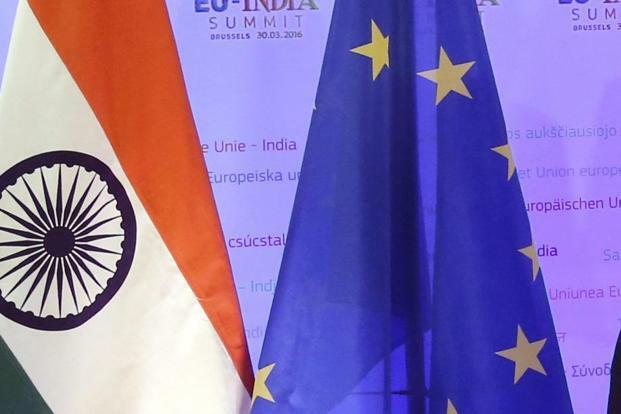 India has invited negotiators from the European Union to resume talks on Indo-EU Free Trade Agreement. Equally, India is also busy exploring opportunities with other trade blocs. With threats of a global trade war looming, India is exploring its options to expand opportunities to boost foreign trade. India’s Commerce Minister Suresh Prabhu on Monday hinted at an early resumption of negotiations over the long-stalled free trade agreement (FTA) between India and the European Union. “We have started working on the India-EU FTA again. We have invited them and are looking at it,” Prabhu said at an event organised by the Confederation of Indian Industries. The resumption of talks is significant on many counts. First, the European Union, including the United Kingdom, accounts for about 17 per cent of India’s total exports. Trade between India and the EU is well balanced, with the former’s exports to the region in FY17 at $47 billion and imports at $42 billion. Garments were India’s biggest exports segment, followed by engineering goods and gems & jewellery. Similarly, the country imports capital goods and gems and precious stones worth billions of dollars from the EU. Europe, which has suffered years of poor growth caused by a series of debt crises, is part of a global economic resurgence that could continue in 2018. It is the right time to resume talks as GDP and employment in Europe is picking up. Commenced in 2007, the EU-India FTA was renamed Broad-based Trade and Investment Agreement (BTIA). The last sets of negotiations were carried out in Brussels in 2013. After this, further negotiations were stalled. India and Germany agreed on the need to resume free trade talks between India and the European Union in May 2017, when Prime Minister Modi met German Chancellor Angela Merkel in Germany. Why did the talks stagnate? Even Merkel had cited the lack of a bilateral investment protection agreement between India and EU members. India decided to cancel most bilateral investment agreements with EU member states in 2016,saying they were outdated. The EU now wants to negotiate the Bilateral Investment Treaty before it starts negotiating the EU-India BTIA. However, India will not accept one of the clauses of the earlier Bilateral Investment Protection and Promotion Agreement (BIPPA), which allowed EU investors to challenge the government in front of an international tribunal. Also, the strong stand continues on the broad contours of the proposed FTA, including EU’s insistence that India cut import duties on auto parts and wine and strengthen the intellectual property rights regime and the Indian demand for more liberalisation in services. India is also demanding greater flexibility on data privacy and data-secure nation status from the EU. The country is among the nations not considered as data secure by the EU. Commerce Secretary Rita Teaotia said that chief negotiators from both sides will be meeting later this month. “We have no conditions to resume talks. The only condition that we have is that there will be no pre-conditions. We will not give any guarantees until we sit down at the table and know what we are getting,” she said. Meanwhile, Commerce Minister Prabhu met his Chinese counterpart, Zhong Shan, who is on a visit to India on 26 March for the first high-level contact between both sides. The meeting is a run-up to a Xi-Modi summit meeting in China. In 2017, the Sino-India bilateral trade reached $84.4 billion, registering a growth of 20.3 per cent compared to the previous year. China’s import from India soared by 40 per cent, helping ease the bilateral trade imbalance. China remained India’s largest trading partner. India had become one of the most important overseas investment destinations for Chinese companies. Similarly, India is mulling over an FTA with Africa. Last week, 44 nations of the 54-member African union bloc signed an African Continental Free Trade Area (AfCFTA) in Kigali, Rwanda. In view of this development, Suresh Prabhu also pitched for a free trade agreement with Africa with a view to boosting economic ties between the two regions. Bilateral trade between India and Africa stood at about US$ 53 billion. According to Prabhu, it is ‘far below the potential’ and efforts are needed to step up the volume of trade. With the escalation of global trade protectionist measures into a ‘full scale global trade war’—that will potentially damage the Indian economy—effortsto expand the architecture of opportunities for Indian foreign trade makes a lot of sense.